Pet owners have particularly demanding vacuuming needs. Animal hair and dander and particulate matter like cat litter inevitably wind up on floors and in carpet fibers. 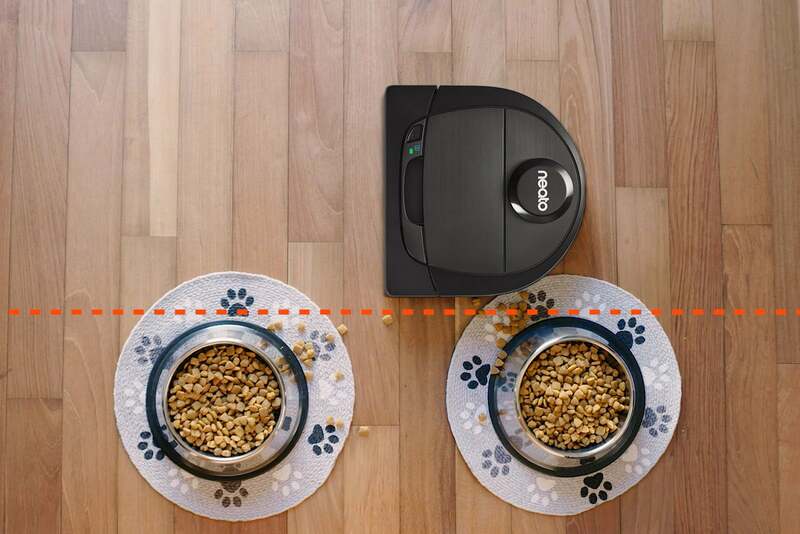 Neato Robotics says its new Botvac D6 Connected vacuum was designed with pet parents in mind. It boasts a bigger brush, a turbo suction option, and a high-performance filter that better captures allergy-triggering pollutants. We can’t say it handled pet-generated dirt noticeably better than the D7 Connected we reviewed recently, but it’s every bit as capable a cleaner, and it has a slightly smaller price tag. Like all of Neato’s robot vacuums, the D6 has a D-shape design that allows it to get into corners and clean along edges better than circle-shaped models. That alone gives it an edge on the pet hair that likes to float around these areas. A rolling-brush on its underside Neato says is 70-percent bigger than its competitors' offerings does the critical job of agitating pet hair from carpet. There’s also a single spinning brush designed to sweep debris along baseboards into the vacuums suction path. The Neato Robotics app guides you through a pairing process to connect the D6 to your Wi-Fi network. It takes about 150 minutes to for the vacuum to charge fully, which gives you up to two hours of cleaning time. Virtual no-go boundaries tell the D6 to steer clear of items on the floor. To use the D6’s mapping features, you must first let it get the lay of the land. During its initial cleaning, the vacuum ping-pong’s around the room, mapping the space as it goes. At this point, it’s essentially running blind, using its bumper and other sensors to recognize when it encounters obstacles so it can change direction. I recommend clearing your floor of all clutter for this maiden voyage, as the D6 isn’t very good at getting over or around toys and other small objects, and it will just sweep them up, causing a brush obstruction that you’ll need to clear manually. When this happens, the D7 will beep incessantly until you attend to the problem. After the first cleaning was finished, I was able to save the floor plan of that room for future cleanings. Once a room is mapped, you don’t need to worry about decluttering before vacuuming. You can simply draw virtual no-go Lines on the map with your finger—they appear as red scrawls—around electrical cords, piles of clothes, or anything else you want the D6 to avoid, and it will navigate around them. The D6 can store up to three floor plans, each with its own no-go lines, so I was able to save separate maps for each level of my two-story home. But this comes with an important caveat: You need to move the vacuum's docking station to each location you wish it to map; otherwise, the vacuum can't find its way back to base when it needs to finish its map (or recharge to finish its task). 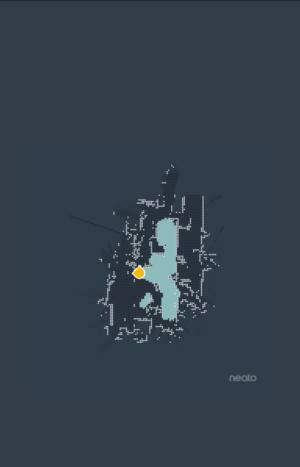 Neato recommends buying second and subsequent docking stations for each floor plan you create, so you don't need to unplug, move, and plug-in the one that came with the vacuum. Charging bases cost $40 each if you purchase them directly from Neato. They can cost more if purchased elsewhere. Two hours is plenty to do a deep sweep of many homes, but if you have a particularly large space, the D6 might need more battery power. In those cases, its Quick Boost feature will enable the vacuum to calculate how much power it needs to finish the job, and the vacuum will go back to its charging base to top off just enough to complete the task. This reduces the overall cleaning time. You can store up to three four plan maps. With the aid of its floor plans, the D6 was able to navigate around furniture and no-go boundaries with no trouble. At just over 13-inches wide, the D6 had no problem getting between chair and table legs, but its 3.9-inch height—thanks to a turret that houses the vacuum’s mapping sensors—is just a little too tall to get under low couches. It was able to roll smoothly from carpet to hard floor and back, though, and it did an admirable job of sucking up dirt and dust, food crumbs, and, of course, pet hair and cat litter form both surfaces. Allergy suffers will be happy to hear the dustbin pops easily from the top of the vacuum and doesn’t spit out a cloud of dust when you open the door to empty it. The Neato Robotics companion app is particularly well designed. You can start, stop and pause cleanings from the main screen, as well as send the vacuum back to its dock. You can also select the type of cleaning you want done. The House option enables a full automatic cleaning in one of two modes: Eco, a quieter but longer cleaning, and Turbo, which provides more powerful and louder suction. The Spot option performs a concentrated cleaning of a specific area. The app provides easy access to summaries of your last 20 cleanings. These include a map, the square footage of the area cleaned, and the total cleaning time. 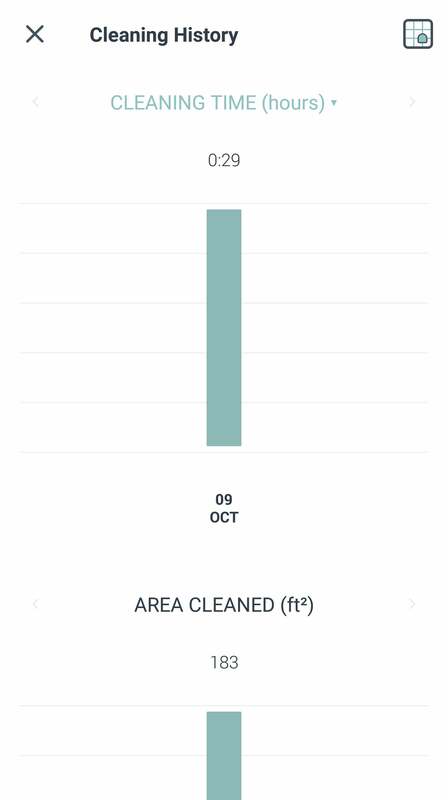 You can use the app to schedule cleanings by selecting the days, time, and cleaning mode. You’re limited to one time of day, however, and the vacuum will clean at that same time on every day you schedule. Under the robot’s menu settings, you can set alerts to remind you when the brush and filter need to be changed and when the dustbin is full. 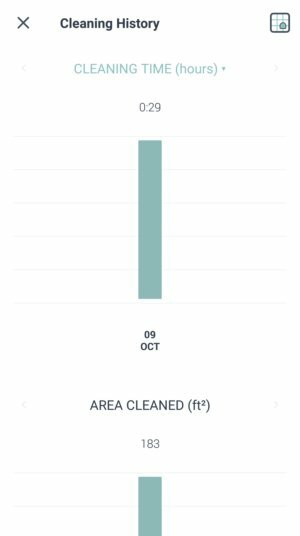 The Neato app saves summaries of previous cleanings. In addition to the Neato app, you can also start and stop the D6 using Amazon Alexa and Google Assistant, Apple Watch, and IFTTT. The Botvac D6 Connected did a great job vacuuming all kinds of debris from the low-pile carpet, hardwood, and linoleum in our tests. It’s questionable that it’s any more prodigious at vacuuming animal hair and dander than the D7, but all else being equal, the D6’s slightly less intimidating list price would seem to make it the more attractive option for pet and pet-less households alike. 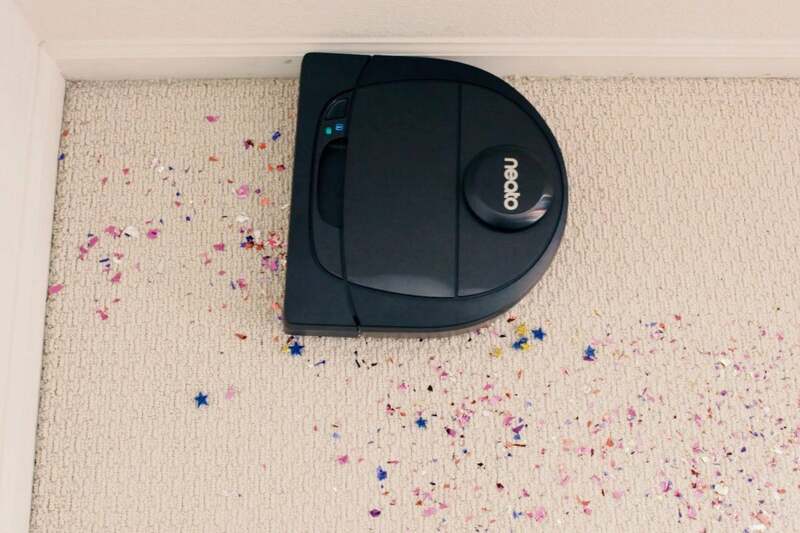 The Neato Botvac D6 Connected is a powerful cleaner that's well-suited for households with pets—if you're willing to spend a bit more.